Adam Sisman will be speaking about his new book on Wednesday 3rd October at 7.15pm at The Hellenic Centre, 16-18 Paddington Street, London W1U 5AS. Admission is free but non-members are asked to make a £10 contribution towards the expenses of the evening or to join the Society, which entitles members to free attendance at all events. The new book will be for sale at a special launch price. This entry was posted in Dashing for the Post and tagged Adam Sisman, Patrick Leigh Fermor on September 19, 2018 by proverbs6to10. From time to time, the Benaki Museum publishes a supplement to its regular journal, and the 9th Supplement is a masterpiece dedicated to Paddy’s life. Well bound, and coffee table book sized, there are over twenty new articles exploring a range of topics including Paddy’s intimates and friends, his walks, the Cretan resistance, wider discussions of Greece, Paddy’s writing and of course the house. The Benaki have assembled a remarkable collection of writers including Hamish Robertson, Cressida Connolly, the Marques de Tamaron, Nick Hunt, John Kitmer, Chris White, Colin Thubron, John Julius Norwich, Adam Sisman, and Roberto Calasso amongst others. The supplement is available from the Benaki Museum shop for 18 Euros plus worldwide DHL shipping. Details of the contents are here. This entry was posted in Uncategorized and tagged Adam Sisman, Benaki Museum, Chris White, Colin Thubron, John Julius Norwich, Marques de Tamaron, Nick Hunt on March 4, 2018 by proverbs6to10. Then across the Rhine, through the Black Forest, one night on the shores of Lake Constance surrounded by Germans; south into the Austrian Tyrol, on into Italy at Bolzano, then clean through the Dolomites, hundreds of miles of sheer and dizzy spikes a-gush with streams out of which beautiful trout virtually leap straight on to frying pan, grill and saucepan; north of Venice into Yugoslavia at last; through Slovenia to Lubliana, through Croatia to Zagreb, then east along a billiard table autostrada towards Belgrade. Now, a travel tip for motoring in Yugoslavia: there are only about three petrol pumps the country, and scarcely any motors. We ran out hundreds of miles from one on this autostrada in the heat of the day and settled for hours under an acacia tree … until at last a caravan of twelve Cadillacs drew up and succoured us by siphoning petrol out of their tanks. They were a party of Persian princes with their sloe-eyed princesses on the way from Claridge’s to Teheran. They partook freely of our wine flask, asked us to stay in their palaces (the competition began to look ugly) and then slipped into gear for Iran. Into Greek Macedonia at last, and then by familiar roads to Athens … a colossal road is being built outside, with fifty pneumatic drills, giant steel claws for rubble, hydraulic pumps, steamrollers and blasphemy. One has to talk in bellows. I have now bought some pink wax ear plugs, which makes everything even eerier. I see massed drills a-shudder, rollers a-crunch, and ten tons of broken concrete crashing from suddenly gaping steel claws all only a few yards off, and all in dead silence; lorries hurtle by as soundlessly as minnows. Meanwhile, one’s heart sounds like a steam hammer, and one’s own steps like nail-clad footfalls in a cathedral. This entry was posted in Dashing for the Post and tagged Adam Sisman, Athens, Balkans, Bosnia, Dubrovnik, Yugoslavia on February 21, 2018 by proverbs6to10. 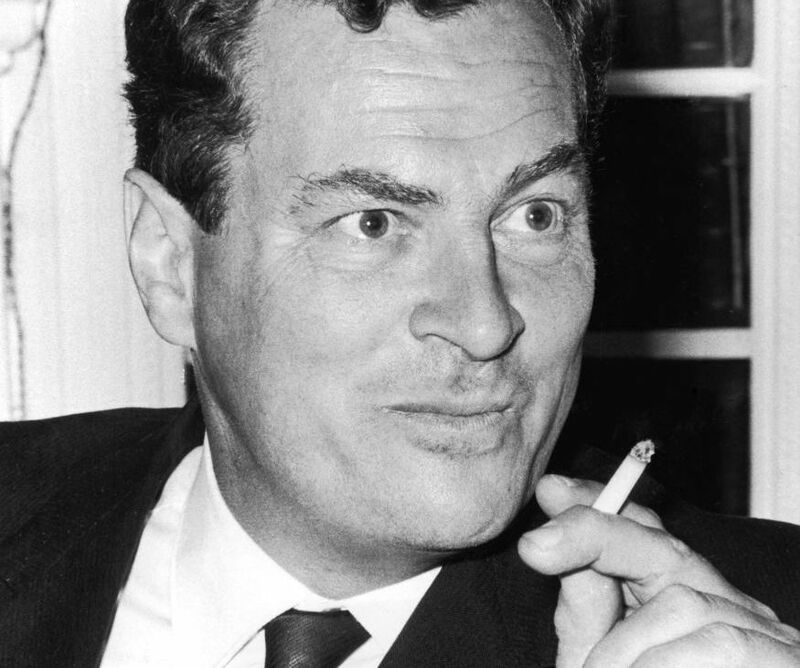 A letter excerpted from Patrick Leigh Fermor: A Life in Letters . Very many apologies indeed from both of us (1) for neither having answered your lovely long letter, full of exactly the sort of thing one wants to hear—it was a masterpiece, and by far the best of any ex-Hydriot so far; and (2) for being such laggards in saying ‘thank you’ for The Dynasts. It really was kind of you to remember it. Joan is now in the thick of the first vol.—the second, which is reprinting, will follow soon, your bookseller says. It arrived just as we were about to run out of books. That green detective one, The Gilded Fly, which vanished so mysteriously, miraculously materialized on the hall table yesterday! You were missed a great deal by everyone, including the servants, who still talk affectionately of Kyria Anna. Soon after you went, I got a letter from Kisty Hesketh, introducing her brother called Rory McEwen and a pal called Mr Vyner. You probably know the former, v. good looking, and a champion guitar player it seems, and probably very nice. They both seemed wet beyond words to us, without a spark of life or curiosity, and such a total lack of conversation that each subject died after a minute’s existence. We had sixty subjects killed under us in an hour, till at last even Maurice and I were reduced to silence. Joan did her best, but most understandably subsided into a bored scowl after the first few hours. We heaved a sigh when they vanished after two days that had seemed like a fortnight … Your fortnight, I must say, passed with the speed of a weekend. Joan saw Maurice off in Athens, another sad wrench. Diana, JJ and Anne finally turned up on the 2nd September. The last two left four days ago and D. is still here. They were not nearly such a handful as we feared, in fact very nice and easy and resourceful, Anne painting away industriously, or wandering off independently with JJ, who gave us lots of splendid guitar playing—always stopping in time & not boring at all. I think they enjoyed it very much. Diana, who is in your old room, seems as happy as she is anywhere now, and is very easy and unfussy, enjoying everything, loos, odd food, garlic, ouzo, retsina, etc., mooching about in the port, darting off to Athens, once to see Susan Mary Patten off a caïque (but she wasn’t there), once to see the Norwiches off, returning both times laden with Embassy whisky and so on, which was gratefully lapped up. We had a very entertaining old Greek friend for last weekend, Tanty Rodocanachi, which was a great success, lots of funny stories and old world gallantry … But Diana’s presence proved a magnet for other yachts, first of all Arturo Lopez in a very sodomitical-looking craft, done up inside like the Brighton Pavilion, a mandarin’s opium den and the alcove of Madame de Pompadour. Chips was on board, le Baron Redé, a horrible French count called Castéja [Lopez-Willshaw’s son-in-law] and a few other people who looked unmitigated hell, but I didn’t quite manage to take them in during our two hours on board. We all felt a bit bumpkin-ish as we clutched our weighty cut-glass whisky goblets and perched on the edge of satin sofas. We were put down at the little restaurant down the hill, to the wonder of the assembled crowds; and the Balkan dark swallowed us up. They were off for the Cyclades and Beirut. But this was nothing compared to five days ago, when a giant steam yacht (with an aeroplane poised for flight on the stern) belonging to Onassis came throbbing alongside. It was followed by an immense three-masted wonder ship with silk sails, miles of corridor, dozens of Impressionist paintings, baths to every cabin and regiments of stewards, belonging to his brother-in-law, Niarchos. They have made 400 million quid between the two of them, and own, after England, USA and Sweden, the largest merchant fleet in the world, all under Panamanian flags; and all, it seems, acquired in fifteen years. We only saw Niarchos, who is young, rather good looking, very drunk and tousled, not bad really. On board were Lilia Ralli, several blondes, a few of the zombie-men that always surround the immensely rich, Pam Churchill & Winston Jr. Sailing beside it was another three-masted yacht, gigantic by ordinary standards, but by comparison the sort of thing one sees inside bottles in seaside pubs. This was also Niarchos’s, a sort of annexe for overflow, soi-disant, lent to Lord Warwick, though he is plainly some kind of stooge. He looked like a Neapolitan hairdresser run to fat. We did a certain amount of drinking and social chat on the big one (spurning Lord Warwick’s cockleshell) and wandered through labyrinthine corridors gaping at the fittings. I gathered from Pam C. next morning—the focus of all eyes on the quay in pink shorts, gilt sandals and a-clank with gems—that it’s pretty good hell aboard: no sort of connecting link between all the guests, disjointed conversation, heavy banter, sumptuous but straggling meals at all hours, nobody knowing what is a test. Diana, Tanty, and the Norwiches got a lift in this to Athens (D. returning next day), and Joan and I trudged up to fried salt cod and lentils and garlic. We learnt on Diana’s return that the massed blast of our five breaths nearly blew the whole party overboard. There is something colossally depressing about contact with the very rich. What I want to know is: why the hell don’t they have more fun with their money? Modiano’s Cyprus article was the best I have seen so far. After you left Athens, I accompanied the whole of the demonstration: oaths in front of the Unknown Warrior’s tomb, the burning of the Cyprus sedition proclamation, also of bundles of Union Jacks, cries of ‘Down with the English! Down with the Barbarians!’, then, from the steps of the University, an awful incendiary speech from the Rector that overstated the case so much (he ended with an undying curse and anathema to the English!) that nearly all the sensible Greeks feel ashamed. What a bore it is, and so foolishly unnecessary. Niko G[hika] comes back next week, but may not be able to stay on, as he is a lecturer in Athens. Joan returns sooner than me, so I’m going to keep my teeth into Hydra till the last possible moment. In spite of all the goings on, I’ve managed to keep on scribbling. I hate the idea of another uprooting and would like to stay till winter starts. Thanks again, dearest Annie, for The Dynasts, and do please write another London newsletter! Lots of love from Joan and Diana, also to Ian, and from me. All wish you were here. 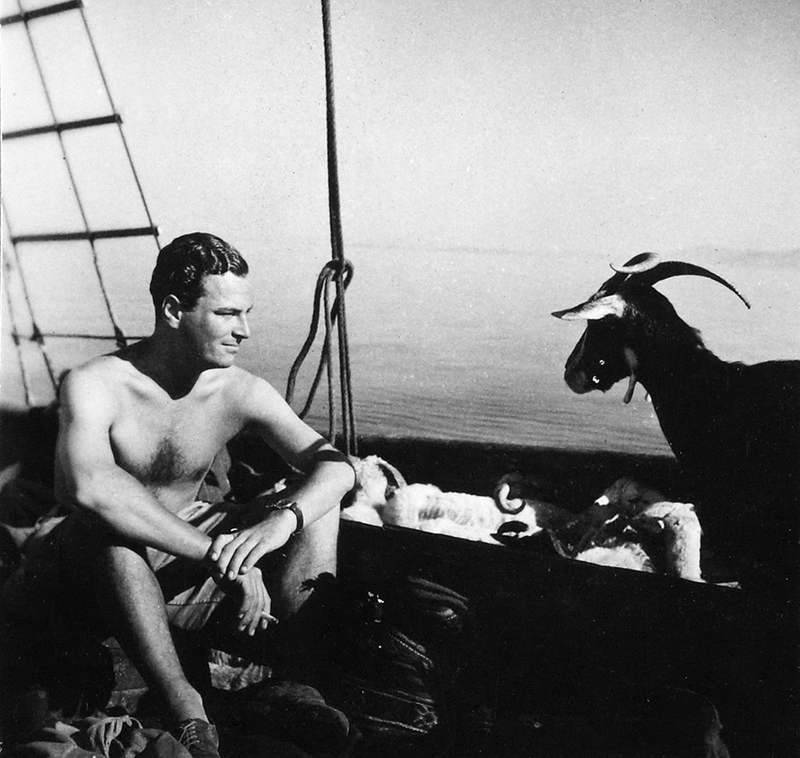 Excerpted from Patrick Leigh Fermor: A Life in Letters , selected and edited by Adam Sisman © 1940–2010 by the Estate of Patrick Leigh Fermor. Courtesy The New York Review Books. This entry was posted in Dashing for the Post and tagged Adam Sisman, Anne Fleming, Nikos Ghika, Patrick Leigh Fermor on December 17, 2017 by proverbs6to10. This review of Adam Sisman’s Patrick Leigh Fermor: A Life in Letters , the US version of Dashing for the Post: The Letters of Patrick Leigh Fermor (New York Review of Books) was published on Barnes and Noble, and worth reading if only for the opening quotation. I can’t think of anything more exciting than your imminent prospect — and well done starting in winter. (a) You have the whole world to yourself, and (b) inhabitants never take summer visitors seriously. Winter is a sort of Rite of Passage. Do take down any songs or sayings, above all descantice — spells, incantations, invocations, etc. I bet Maramures is full of them. Also, as much wolf and bear lore as possible — and remember, never drink rainwater that has collected in a bear’s footprint, however thirsty. This jaunty note, now published in Patrick Leigh Fermor: A Life in Letters, edited by Adam Sisman, conveys so much of the “old boy,” as he himself might have put it: the generosity and enthusiasm, the arcane knowledge and irresistible wit. Fermor had by then been traveling and writing for almost six decades, and the letters gathered here span seventy peripatetic years, from 1940 to 2010. By turns gossipy, lyrical, profound, and dazzling, they carry Fermor’s voice so clearly that we seem to hear him speaking as we read. Not that we hear everything. Fermor admits to pruning his correspondence (“lots of things not for strangers’ eyes”), and Sisman has excised the more quotidian passages. Yet no letter seems incomplete. And thanks to Sisman’s astute selection and fine introductory notes, the volume’s gradually darkening mood seems to mirror Fermor’s ultimate journey from youthful exuberance to aged decline. But the writer and the man revealed in these letters is no Bertie Wooster-ish dilettante. Though “never less than two years overdue” finishing a book, Fermor, we learn here, took his craft, if not himself, seriously; in one letter he identifies his literary flaws and in another speculates how screenwriting for a 1958 John Huston film might instill “lessons about concision and dexterity.” And while expert at “high-class cadging” of Italian villas and the like, he detests anything “smart” — the “revolting” Côte d’Azur, for example — and observes, after an evening on an Onassis yacht, that there is “something colossally depressing about contact with the very rich.” Fermor cannot be corralled, either by class or by place. Throughout his life, and throughout these letters, he strays. Into love affairs and across borders, enraptured by the ancient and the natural world — even when mortality looms. “We walked in the fields yesterday where we slid on the hayrick twenty years ago,” he writes in 1975 to Alexander Fielding, a constant friend since wartime. Joan Rayner, his wife and strength, drops dead in 2003 — “no pain, thank heavens, except for survivors” — and Fermor will live eight more years. In a 1948 letter to Joan, he had described waking from sleep “as easily and inevitably as the faint touch of the keel on the sand of the opposite bank.” Across the final page, that image seems to shimmer. This entry was posted in Dashing for the Post and tagged Adam Sisman, Patrick Leigh Fermor on December 16, 2017 by proverbs6to10. The festival season is rapidly approaching, and as a Kentish Man, I was interested in this one. 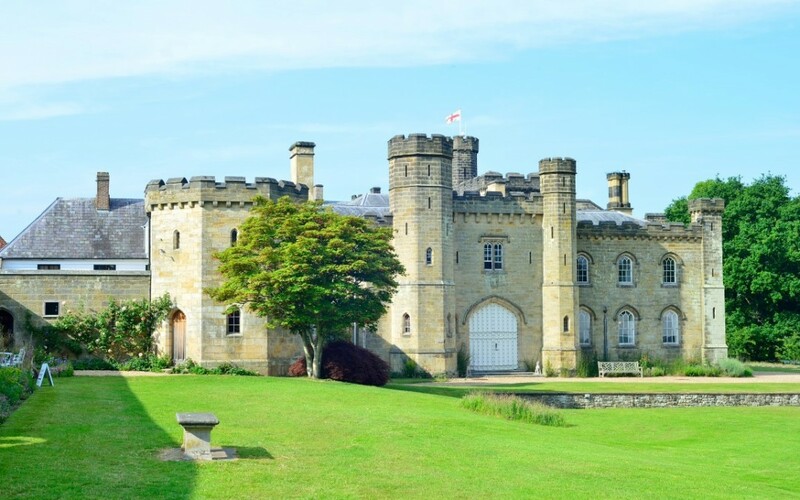 Held in a very beautiful setting, the second Chiddingstone Castle literary festival runs over the first May bank holiday weekend, from Sunday, April 30 to Tuesday, May 2, with 22 authors appearing over three days. The line-up is headed by Terry Waite. Joining him will be Artemis Cooper and Adam Sisman, discussing the life and writings of travel writer Patrick Leigh Fermor, and Radio 4 presenter of Saturday Live, Rev Richard Coles will give a reflective account of life as a parish priest and broadcaster. This entry was posted in Dashing for the Post and tagged Adam Sisman, Artemis Cooper on March 22, 2017 by proverbs6to10.